Doctor of physical therapy students have had a 100 percent passing rate on state and national licensing exams since 2010. 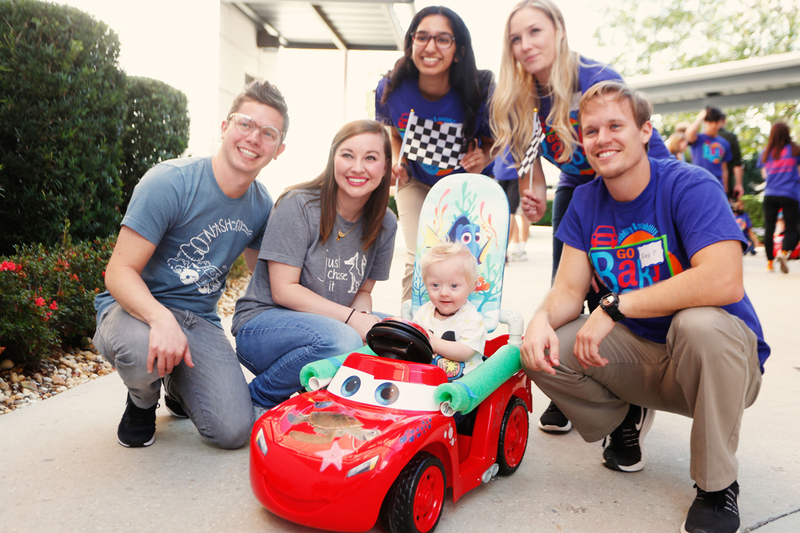 Physical therapy students redesign ride on cars for children with mobility issues through a special program called GoBabyGo. Thirty-six students in the doctor of physical therapy program will present their research-project findings Saturday to the community, one of the final steps before they earn their degrees. Among the topics: the impact of music on the mobility and balance of older adults with dementia, neuromuscular adaptions associated with knee injuries, the impact of modified ride cars for mobility for children during play, and the effects of a physical therapy technique on walking, balance and fear of falling in older adults. Requiring students to conduct a three-year research project enhances their education experience and may be one of the reasons why students have had a 100 percent passing rate on state and national licensing exams since 2010. UCF’s program is among the top 15 nationally, according to the Federation of State Boards of Physical Therapy. Free continuing education units are available to local clinicians (four UCF-approved contact hours in accordance with FS 486.109).